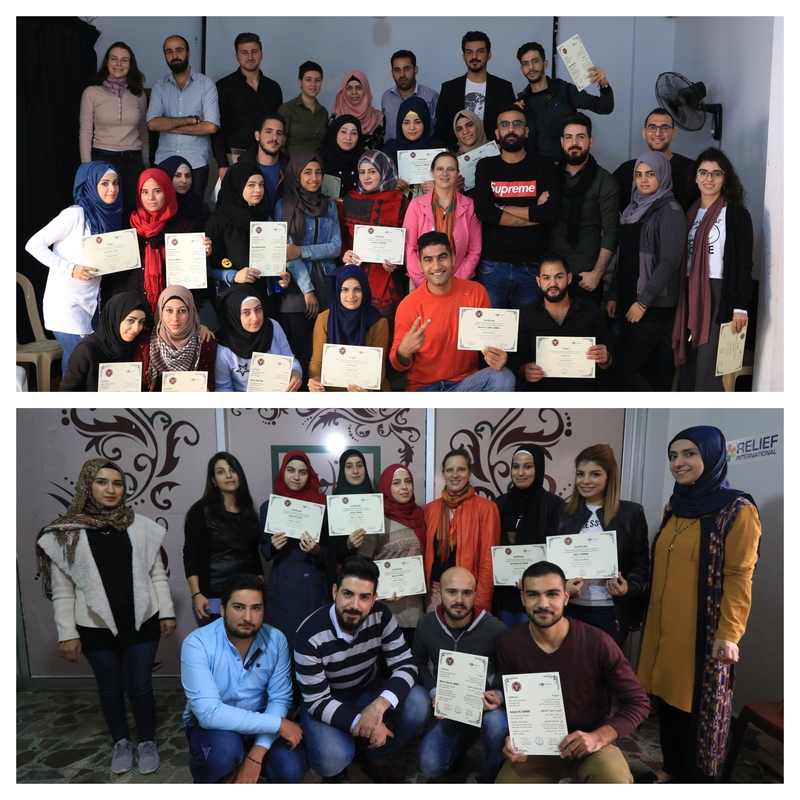 Basmeh and Zeitooneh's Media Training Center celebrated the graduation of another cycle in #Mobile_Journalism & #Photo_video_editing. This program was initiated with Deutsche Welle Akademi to give young individuals living in the camps the opportunity to learn and practice Mobile Journalism and equip them with all the required technical skills which they can utilize as mobile reporters, thus giving them a chance to become employed at a later stage. Mobile Journalism is another initiative that Basmeh and Zeitooneh with DW, initiated in March 2017. The participants are trained on different media topics and skills including Mobile Photography, Social Media, Photo Story, Creative Writing for journalism, Filming and Editing. The training equips individuals with the skills required to be mobile reporters, thus also providing them with potential employment opportunities in the future. It also provides participants with better knowledge and tools to express their opinions, experiences, and dreams.